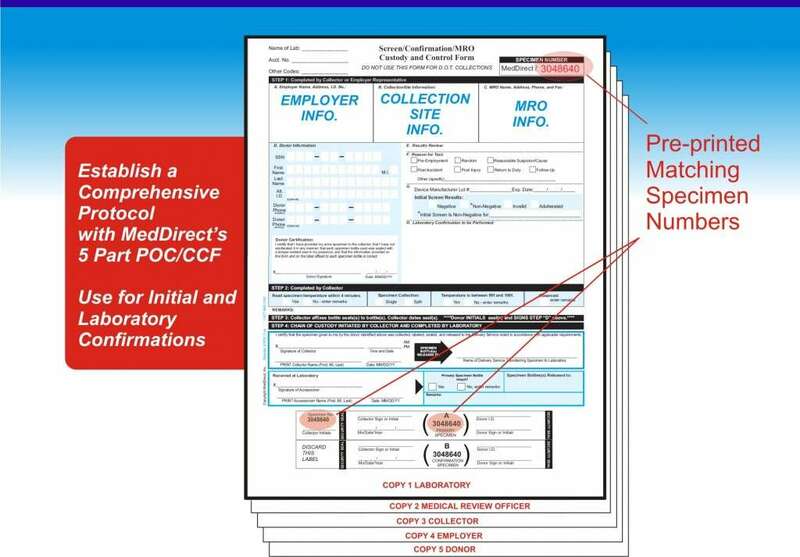 MedDirect‘s Custody and Control Form for POC drug screening and specimen confirmation helps establish a consistent and reliable procedure used by professional collectors everywhere. Why use the MedDirect POC/CCF? From many years of experience and working closely with our laboratory we have developed a CCF that transitions smoothly through the entire POC initial screening, laboratory confirmation, and reporting process.